But let’s stay at the Dean for now. 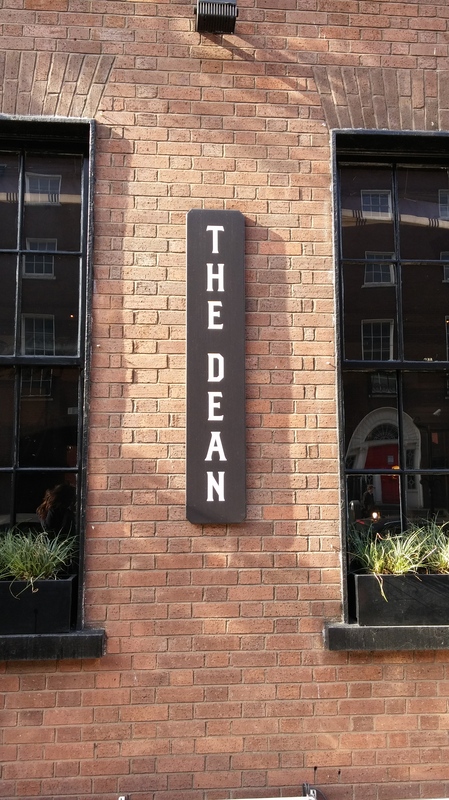 A part from the good food and the trendy accomodations, the real interest in going to the Dean is it’s rooftop bar & restaurant. 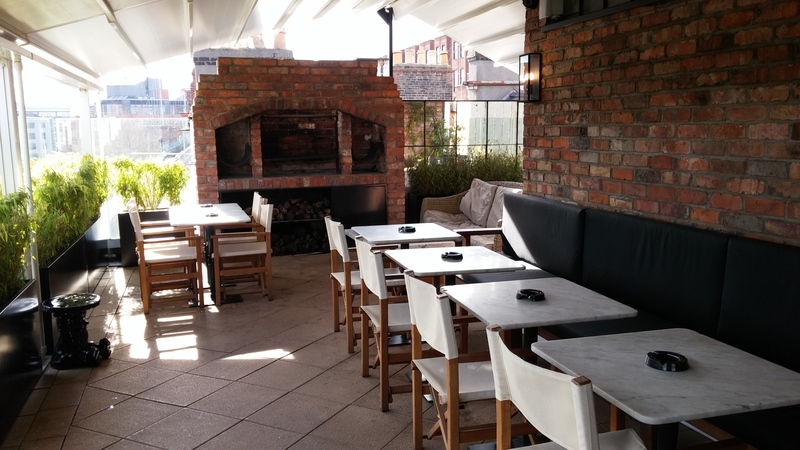 It’s very spacious and you get an almost 360° degree view of the city. We went on a Sunday noon and obviously, it was full. So at first it looked like we would have to change plans… But a little patience and a cup of coffee later we got our table at the window! Whereas some parts of Dublin’s north really don’t qualify for the top ten tourist destinations, the area around the north side of the River Liffey is really nice. O’Connell Street is the city’s largest avenue (49 m) and stretches for about 500 m from the O’Connell bridge up to Parnell Street. So what’s so special about it? First of all, it’s nice to go for a stroll, you can go to Penneys for shopping or simply because you need an umbrella (again) and you haven’t yet memorized that you always should carry one with you. Second of all, since I’m already on the rain topic, why don’t you get inside and check out the Savoy Cinema. The more historically important part of O’Connell Street is without a doubt the General Post Office (GPO). It served as the headquarters of the uprising’s leaders during the Easter Rising in 1916. Yes, at the time all of Ireland was ruled by the British. As the name suggests, it started on Easter Monday and ultimately led to the official declaration of the Irish Republic in January 1919. Coincidentally, this year marks the 100 years anniversary of the Easter Rising. 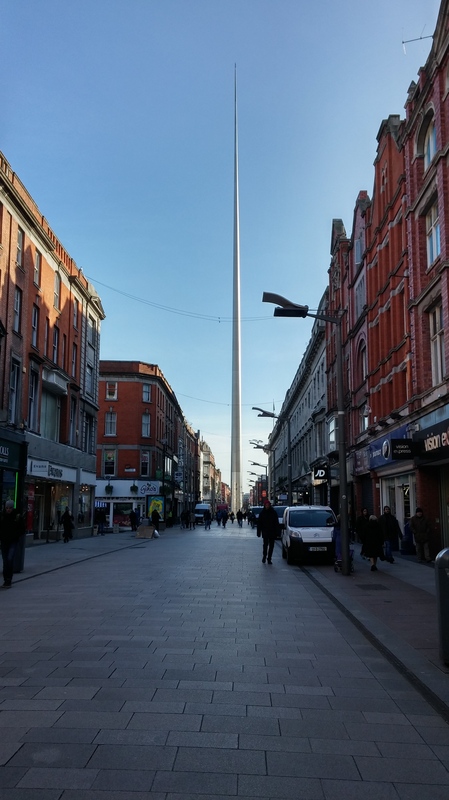 The other landmark on O’Connell Street is the Spire of Dublin. It’s nowhere near as old as the GPO but much more ‘in your face’. It was built from December 2002 to January 2003 at the location of the former Nelson’s Pillar, is 121.3 m high and cost € 4’000’000. That’s all very nice, but what is its purpose? In essence, it was part of the city’s 1990’s plans to redesign O’Connell Street’s layout. Cheap fast food restaurants and a pedestrian unfriendly street layout had tarnished the image of O’Connell Street. Usually, church and I mix as good as water and oil. This time, however, I didn’t want to leave the church! 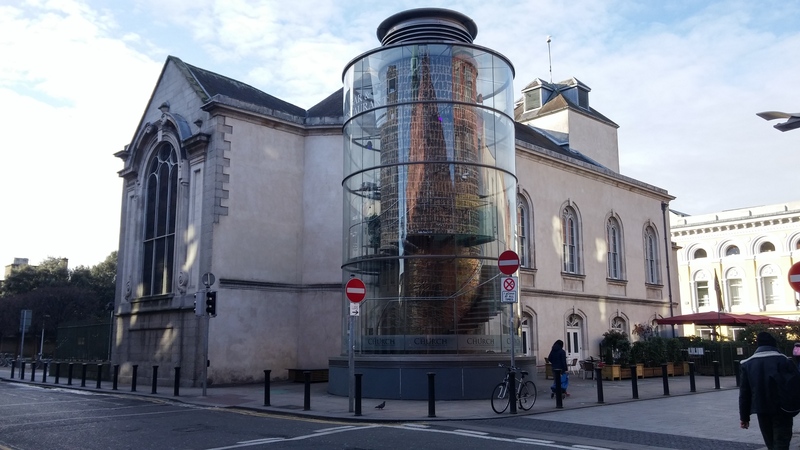 😉 Okay, not far away from the Spire, if you follow Henry Street all the way west until you get to Jervis Street, you’ll automatically land in front of a former church, that has been converted into a bar. It’s simply called The Church. 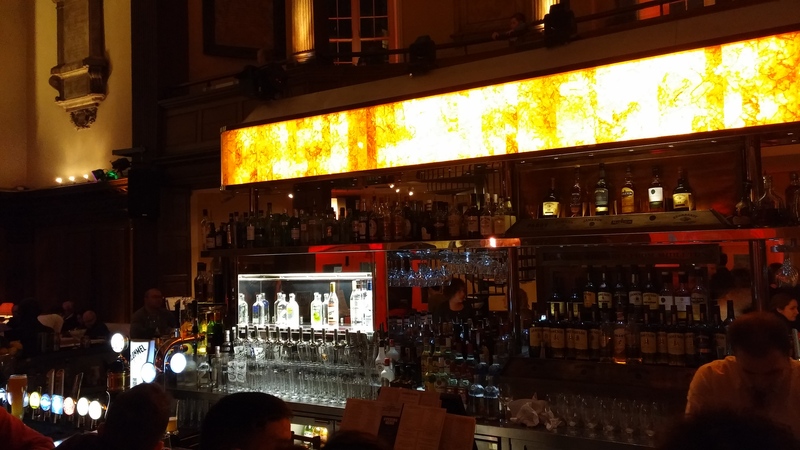 It’s a café, bar, restaurant and nightclub, but it still looks like a normal church. 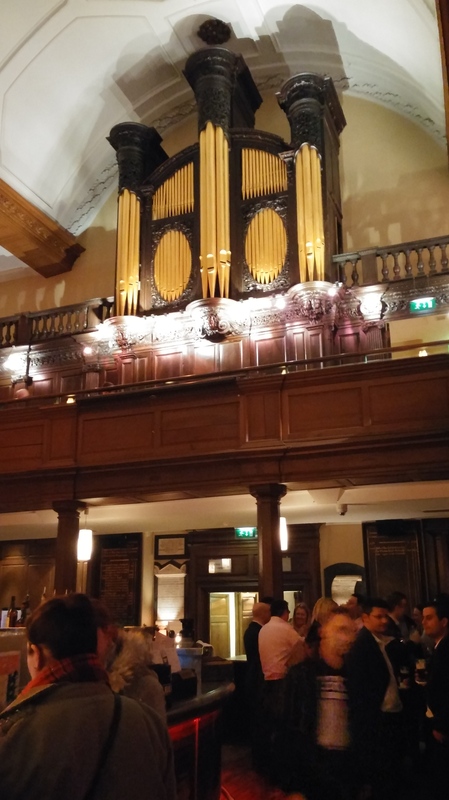 Basically, there is a massive bar in the center of the church, a band playing and singing Irish music (I guess so) in the front where the altar used to be and restaurant tables on the upper floor. They even left the organ in it, but I don’t know if it still gets played occasionally or not. Isn’t that just a fantastic way to give church buildings that are no longer used for religious practices a new life?! Deffo!! 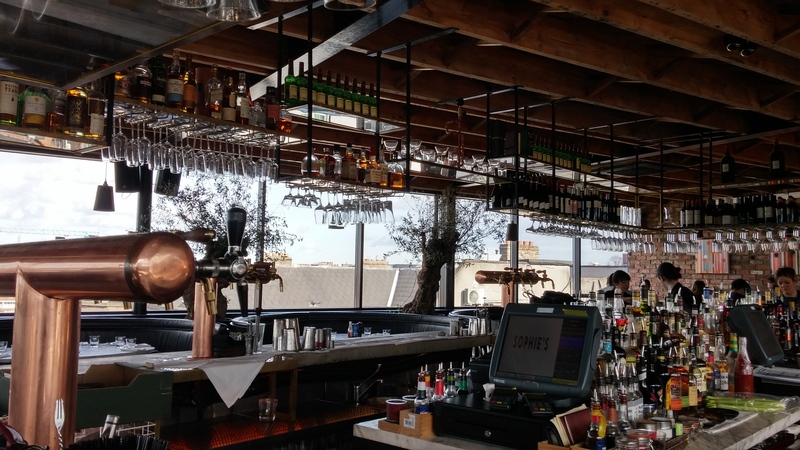 So you’ve had your pints and it’s time to go to work again… But where do the people of Dublin work? Ireland’s economic recovery is largely due to low corporate taxes, inciting lots of multinational companies to set up their global or european headquarters in Dublin. In addition to that, Ireland is the perfect gateway between Europe and the United States, especially since many of the founding members of the US were originally Irish. 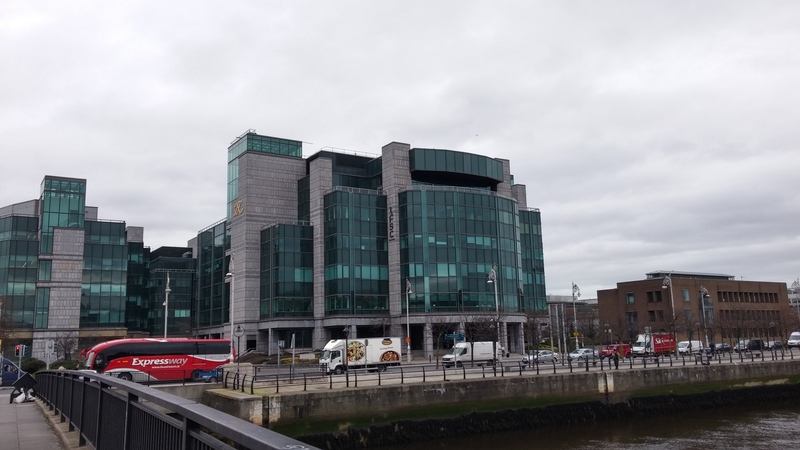 Consequently, the booming sectors in Dublin are the Financial and the Technology ones: Many banks, insurances, pension funds, etc., as well as tech companies like Facebook, Google, LikedIn and AirBnB (just to name a few) feel at home in Dublin. On top of that, you’ll find a relatively new sector that combines both worlds: the Financial Technology, often just referred to as FinTech.